With technology things around, businesses now have so many choices to make their works a bit easier. A number of business apps are specially designed for business. They can help in addressing routine tasks, simple tasks, or even tasks that are difficult to do manually. 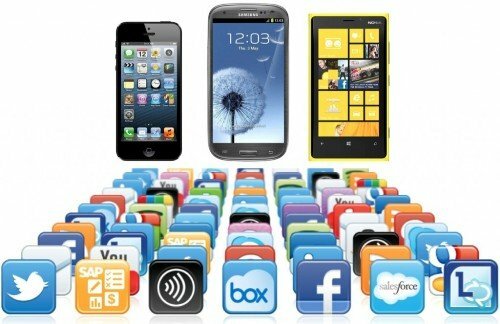 Some of them are available free; meanwhile, some apps come as paid apps with more sophisticated and complete features. If you run a business, which deals much with creative works of recording videos, this is a great app. Loom is a Chrome Extension. It allows the users to record the screen in the process of making videos. For instance, the recording process can focus only on the computer screen or webcam. The recorded videos are more focused, thus minimizing the need to edit the videos when the recording is finished. The business app also provides you with link and pastes it onto the clipboard. This app works great to record video and to send it. Shortly, Loom is a time-saving app. Imagine when you are in a bus, reading an interesting article. Then, you have to stop reading since the bus arrives at your destination bus stop. What happens to the article? It is gone. If you want to continue reading it, you have to browse the internet again. It needs more time, right? Then, imagine how interesting it is if you can save the article and read continue reading it anytime you want. This is what Pocket App does for you. You just need to download the app and use it to save your favorite articles. It saves the time, you otherwise spend to browse the internet. As the name suggests, this is a smart scanner available for both Android and iOS. It works by taking pictures using your phone camera. GeniusScan serves as a mobile scanner, which you can use anytime you need to scan a document. Of course, the result is different from the images taken as camera pictures. The scanned documents are as clear as documents scanned using an office scanner. As a professional, you may hardly have time to read a long article or a book, right? You can miss some important information if you cannot read the full article or book. This clever app provides you with a solution. Blinkest works to summarize a business article or book into a shorter version. Imagine reading a book only in 15 minutes! This business app does it for you. If you work in creative business, like designing email headers, graphics, or social media posts, Canva is one of the greatest business apps you can have at cheaper monthly subscription. It works in a super-fast way. It enables you to work like professionals. Those are some great business apps to make your life at workplace easier. They may not replace the main apps you use in the main job. Instead, these apps simplify things that otherwise take much time.